Electric vehicle manufacturers are doing everything possible to increase the range their vehicles can go on a charge. In addition to increasing battery capacity, the other strategy to accomplish this is to use electric motors that are more efficient. This intriguing patent addresses exactly that. In fact, it is the first new concept in electric motors in decades! This patented electronic motor features a shaft that has a larger diameter and shortened length. It essentially “pancakes” the motor. It is a high-torque motor that operates more efficiently by taking advantage of repelling and attracting forces from magnetic fields. It uses lifting electromagnets for improved efficiency, and it includes a fail-safe feature that enables the motor to continue to operate even when some components fail! The inventor has developed a working prototype that can be viewed by any parties interested in the portfolio. U.S. Patent No. 10,199,914 for “Closed loop leveraging electromagnetic motor” has applications in electric vehicles as well as any products currently using electric motors – such as water pumping stations plus construction and agricultural equipment – where increased efficiency is needed. The granted U.S. Patent comes with a Continuation-in-Part Application that enables the motor to use an app to control and monitor the motor’s parameters. This portfolio would be a critical acquisition for any electric vehicle company or manufacturer of equipment that use electric motors! The most significant limitation for electric vehicles is range. Most cannot go as far on a charge as a gasoline-powered car can go on a tank of gas, and charging stations are not nearly as common as gas stations. The next major technological challenge facing electric vehicle manufacturers is improved range, and that means a new generation of lithium batteries that can hold a greater charge. This patent addresses exactly that need! In a typical lithium-ion battery, lithium ions transfer from the metallic lithium component of the anode electrode into an electrolyte leaving an electron behind, and the lithium ions circulate as positive ions in the electrolyte, replacing the lithium ions consumed at the lithium-ion battery cathode. In next-generation lithium-air batteries, oxygen is passed through the pores in the cathode and introduced into the electrolyte. These negative oxygen ions combine with the lithium ions to produce lithium peroxide and/or lithium oxide. The electrical charges produced by these reactions pass externally between the electrodes to provide external electrical current. The only way to increase the power stored in a lithium battery – and thereby enable electric vehicles to go as far on a charge as gasoline-powered autos can go on a fill-up – is to switch to a molten-nitrate-salt electrolyte battery in which the electrolyte is heated above its melting point to become an ionically conductive liquid containing lithium ions and nitrate ions. A lithium anode and cathode are immersed in the electrolyte, and the nitrate ions in the electrolyte become an internal source of oxygen when the electrolyte is heated to above its melting point. The anode and cathode are connected to the conductive surface, and electrical current flows through the battery as a result of the electrochemical reactions in the electrolyte, outputting substantially more electric current than current-generation lithium batteries. U.S. Patent No. 8,795,868 for a “Rechargeable lithium-air and other lithium-based batteries using molten nitrates” is a robust patent with 19 Claims. It would be a critical acquisition by any battery OEM or electric vehicle manufacturer that is seeking to produce higher-capacity lithium-air batteries. Solar panel farms and roof-mounted solar panels are an increasingly common site across the U.S. Wouldn’t it be incredibly convenient if you could set up solar panels when and where you needed them for power? Thanks to this invention, you can. This patent introduces a portable solar panel system. Thin-film solar panels come in a roll, and they are simply rolled out onto the ground or on the surface of a body of water (they float). The invention includes a power inverter so the system can be adapted to produce 120 volts of AC current or whatever power is required by the user. The acquirer of U.S. Patent No. 9,825,583 for a “Portable solar energy system” will own technology that will create an entirely new business segment in both the solar power sector and the portable power industry! Many electric utilities own a large lake (Candlewood Lake built by Connecticut Light and Power in 1926 is a good example) into which they pump water at night – when demand is low – and run water out during the day – when demand is high – through turbines to produce electric power. These lakes are essentially batteries that efficiently and cost-effectively store huge amounts of electric power. But what does an electric utility do if it did not buy a huge tract of land 100 years ago when land was cheap? U.S. Patent No. 8,274,168 for “Generating hydroenergy” addresses exactly that issue. 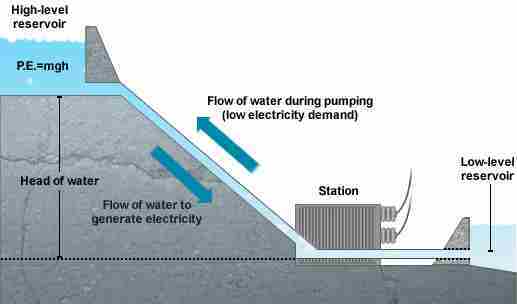 The invention covered by this patent uses an existing body of water – a lake or reservoir – to store excess electric power and retrieve that power when needed. This technology applies to any electric utility, but it is especially useful for the storage of excess power from offshore wind farms. In addition to the U.S. Patent, there is a European Patent Application, so the company that acquires this patent will be able to build highly efficient and environmentally safe electric energy storage systems for electric utilities across the U.S. and Europe. More and more of the electricity we use is green, and wind power is a growing sector. In fact, wind turbines have become a common sight on both land and at sea. The challenge with any electrical generation system – be it fossil fuel or renewable – is to make the system more efficient, and that is what the invention covered by this patent does. Magnus wind turbines do not use the propeller-type blades on conventional wind turbines, but use rotary shafts that transfer torque to a generating mechanism. They are called “Magnus” turbines because they work on what is known as the “Magnus effect” – the sideways thrust on a rotating cylinder placed with its axis perpendicular to a current of air. 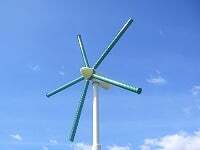 Just as the earliest wind mills had large flat blades that were replaced over time with the narrow blades used on the conventional wind turbines of today, the shape of the rotary shafts on Magnus turbines has changed over time. This patent covers an invention in which an air-flow-directing plane directs airflow to the low-pressure area, causing a delay and an increase in Magnus lift. Additionally, the crossed spiral on the surface of the turbine’s cylinder provides more airflow in three directions upon the rotary cylinder, and this produces yet more Magnus force. U.S. Patent No. 9,273,666 for a “Magnus-type wind power generator” would be an excellent acquisition for any business that manufactures generators, both fossil fuel-powered units and wind turbines. This invention will give its owner the opportunity to leapfrog the technology of all of its competitors and offer a next-generation, more efficient electric-power-generating unit. Solar power has taken off, and solar panel farms and solar panels on rooftops are becoming common sights around the world. 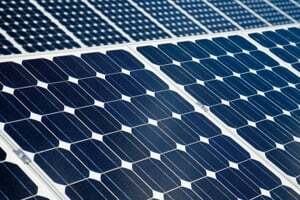 As solar companies try to reduce costs, one area of potential cost reduction is to make the manufacturing of the photovoltaic (PV) cells that constitute the solar panels more efficient and less expensive. This is exactly what the invention covered by this patent does! PV cells are currently manufactured upside-down starting with the glass front and ending with the metal back. 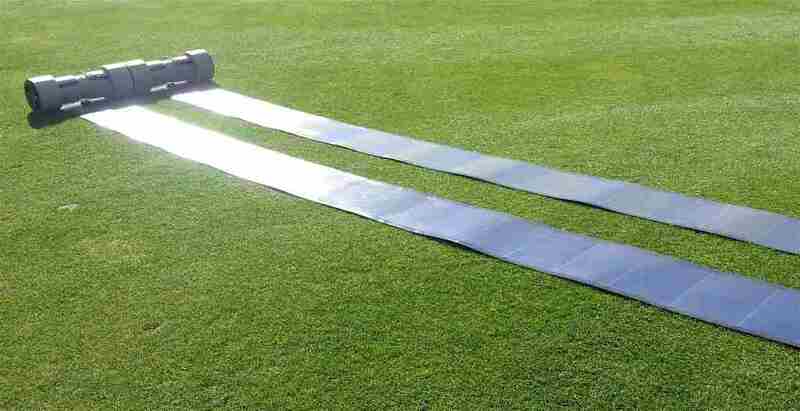 This Patent turns the process right-side-up so metal foil roll-fed production is possible. The significant reduction in manufacturing cost will make U.S. PV cell OEMs competitive with Asian manufacturers! U.S. Patent No. 8,618,411 for a "Method of making photovoltaic cell" would be a critical acquisition for any business in the solar power industry. Manufacturers would use the technology directly, while solar panel installers would license it back to their solar panel suppliers. 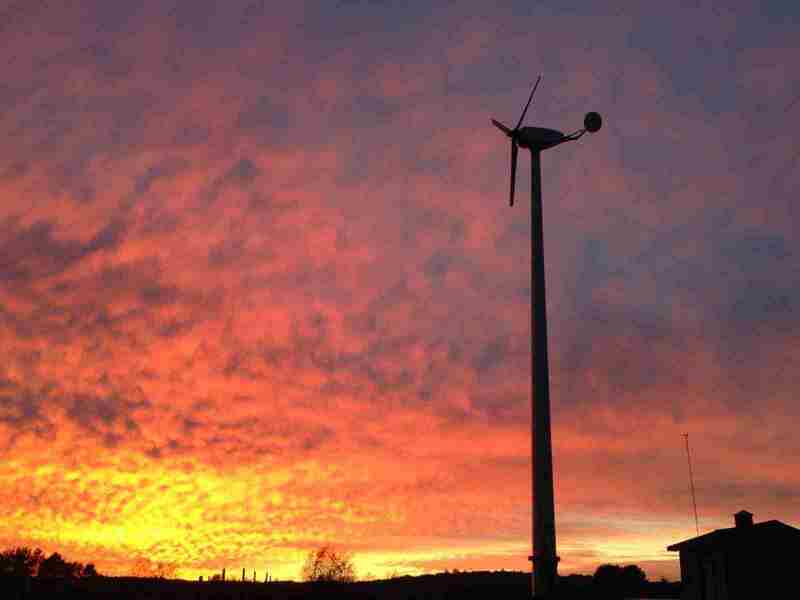 This patent takes both wind and solar power-generation to the next technology. The invention covered by this patent starts with a totally new concept in wind power generation. A conical vortex moves air through the unit with as little interference as possible, reducing heat and improving efficiency. 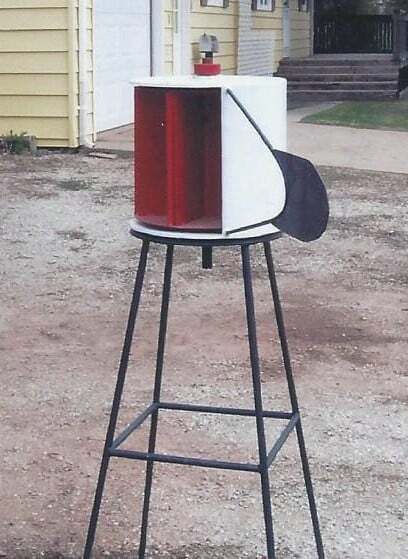 The cowl-housed design addresses many of the problems with the wind turbines of today – height requirements, whoosh noise, bird kills, high maintenance costs, downtime for maintenance, high-wind and low-wind downtime, and limited access to transmission lines – to name just a few. 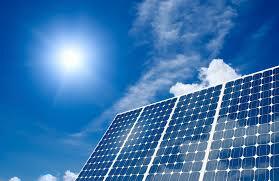 Solar panels provide power when wind speed is too low or too high. In addition, the technology is totally scalable, so units can be manufactured in various sizes and generation capacities. U.S. Patent No. 8,269,368 for a "Wind and solar electric generator" would be a critical asset for any wind turbine OEM, or any business looking to break into the wind power sector. The growing popularity of solar power as an alternative to – or supplement for – fossil fuels has led to significant growth in this sector. The solar panels themselves are a mature technology, so the focus is now on optimizing the power generated by solar panels. The swivel-positioning device provides a means of adding an additional dimension to power-generation optimization. The acquirer of U.S. Patent No. 9,182,153 for a “Ball bearing tracker assembly “ will have a unique strategic competitive advantage over its competitors. While renewable power such as wind is low cost, a substantial amount of the energy generated by the wind turbine’s blades is lost to heat and friction in the transfer of power to the electric-generation unit. This international portfolio covers a transmission that uses magnets to dramatically reduce friction and, thereby, also reduce energy loss in the system’s drive chain. 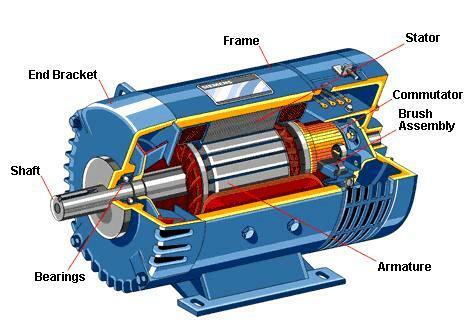 The Zero-Contact Transmission covered by this Patent has its most obvious applications in wind power, but it also has applications in any power-generation system that is based on mechanical energy such as hydropower, tidal and wave power, and fossil fuel and trash-burning plants. The power-generation equipment manufacturer that acquires this technology will leap frog the technology of all of its competitors and gain a critical and strategic competitive advantage! This portfolio includes U.S. Patent No. 7,915,760 for an “Electric power conservation system for storing power during off-peak hours” plus PCT Patent Application 2009076662 for an “Electric power conservation system,” and it creates a unique opportunity for a power generation or power distribution company, green power solution provider, or power storage hardware provider to leap frog its competitors in the area of energy conservation. 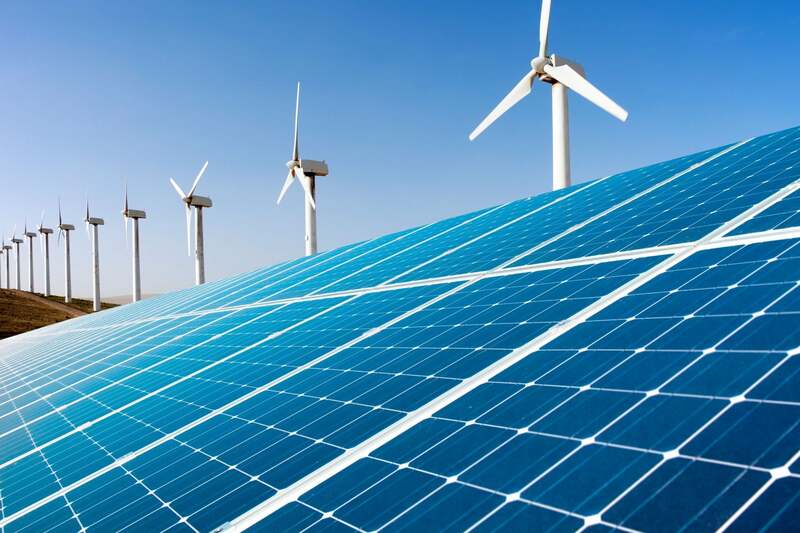 This portfolio discloses a power source management system that provides an energy solution for users who have multiple available inputs to choose from such as wind, solar, geothermal, natural gas, grid, etc. Users can install the patented device, set their preferences, and the system monitors, controls and optimizes the output of those energy streams. As more utilities shift their distribution infrastructure to a distributed generation model, the patented device allows for energy to be directed back into the grid, shared, sent to a commercial or residential scale battery bank, or offloaded. The company that acquires this portfolio will be able to offer an energy-management device that can manage and pull from prioritized energy generation sources. 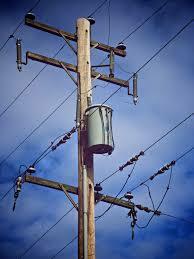 The product can serve residential consumers, businesses and utilities. U.S. Patent No. 9,281,688 for an “Energy management system for multiple power inputs” will enable the company that acquires it to offer an energy-management systems. 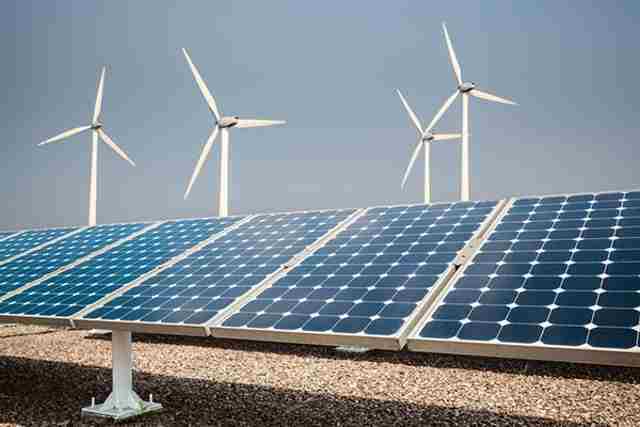 Acquirers include power distribution and energy storage companies, green power providers, state governments, electric utilities, and battery and inverter suppliers. It improves the efficiency and reliability of renewable energy systems by first separating the renewable sources, batteries and loads with switches which are then controlled by the patented power management system. It maximizes the availability of the generated renewable power. It integrates switches, DC-to-DC converter, and DC-to-AC inverter into a single chip or module design which reduces the cost of the system. It is scalable for renewable systems ranging from MW to GW outputs. There is an immediate need for clean, green, cost-effective energy solutions. U.S. Patent No. 7,830,038 for a “Single chip solution for solar-based systems” addresses an important niche in the technology landscape for any renewable product, having integrated converters, inverters and switches, so the patented technology has the potential to secure a sizeable share of the market for renewable power systems. This patent would be a critical acquisition for any rooftop solar system provider, electric utility, data center, solar farm, or chip, mobile phone or electric vehicle manufacturer. U.S. Patent No. 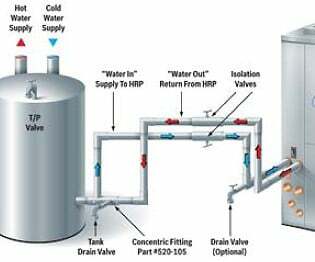 7,827,814 for a “Geothermal water heater” will enable a water heater or appliance manufacturer to leap frog the technologies of all if its competitors, giving the patentee a strategic competitive advantage in a market segment that is highly influenced by energy consumption. U.S. Patent No. 7,744,345 for a “Wind power generator” would be a key acquisition for manufacturers of wind turbines and providers of turnkey wind turbine installations; wind energy products distributors; service providers for residential and commercial wind energy installations; irrigation systems manufacturers and installers; construction and emergency power providers; and home owners, farmers and businesses to provide power locally and economically or for net metering. This portfolio is a key acquisition for companies that design, build or develop fuel cells or fuel-cell powered vehicles or devices. Fuel cells have no moving parts, make no noise, and produce pollution-free “green” power. PEM fuel cells are suitable for portable power generation such as for busses, as well as in residential applications, distributed power and cogeneration. 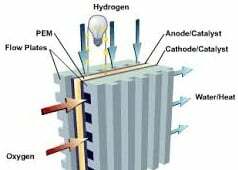 Control of the water that is evolved the fuel cell reaction is critical to efficient operation. The patents in this portfolio cover an effective design for optimizing the waste water flow while simultaneously allowing the fuel cell to cool. This portfolio would be a key acquisition to any business in the power generation sector. This portfolio covers processes for producing, purifying and drying lithium salts for use in Lithium Ion batteries, and also has application to some fuel cell technologies. 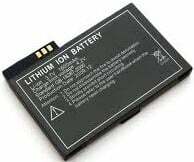 Lithium batteries are compact, so they are popular in cell phones and consumer electronics, and are gaining use in electric vehicle, aircraft and aerospace applications. The portfolio includes nine issued U.S. Patents and one U.S. patent applications. In addition to this portfolio, the acquirer will receive a full technology transfer package, and there are additional related patents that are available to license. The key advantages of the lithium salt described in these patents pertain to both the hydrolytic and thermal stability of the salts, allowing for higher temperature cell operation. Also, the salts have a unique electrochemistry that provides overcharge protection through a redux shuttle mechanism. With the dynamic growth and increasing demand for Lithium Ion batteries, this portfolio is a key acquisition for any business seeking to expand its presence as a supplier of Lithium Ion batteries, or as a supplier to Lithium Ion battery OEMs.